My Rose Valley: Happy Valentines Special Offer! 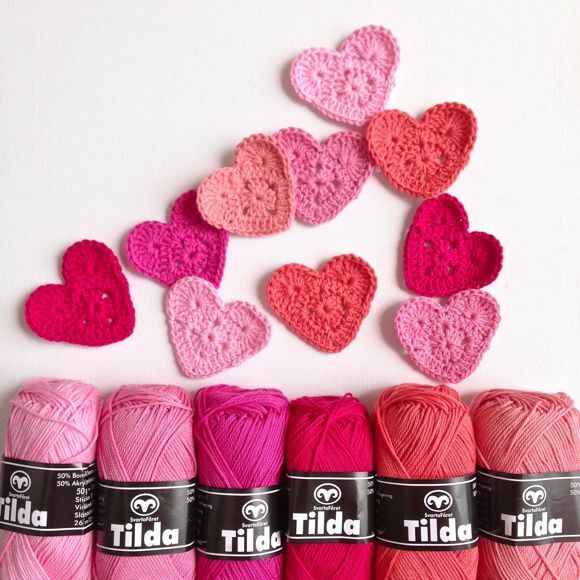 Sending some pretty pink Sweet Hearts greetings to you all. Find the FREE Sweet Heart Crochet Pattern here and whip up a few of your own for your neighbors, colleagues, children, husbands, friends or the girl at the grocery store and the boy at the gas station. Make someone smile and give as many hugs as you can. and in my RAVELRY shop. Offer ends Thursday 16th of February 2017. Sending lots of hugs and kisses to this wonderful community. If I could I would invite you all for cookies, coffee and crochet. May your day be awesome. Ooh you are naughty tempting me - sat down just to catch up on blog reading, and ended up buying your shawl, hat and gloves patterns!